Good Times is a 1980’s techno headliner, inspired by the lettering used on Pontiac cars from about 1989-1994. Uniform lines, capsule shapes and disconnected strokes give Good Times, a stark, scientific feeling. 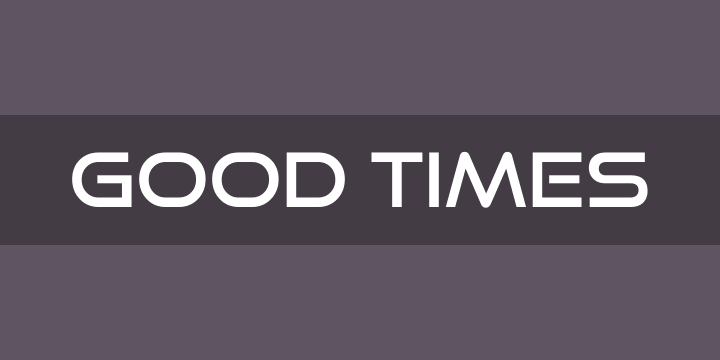 Good Times was created in 1998 and has since been expanded into 15 styles including a rusty variation called Good Times Bad Times. When you’re using Good Times Bad Times in an OpenType savvy application, common letter pairs will be automatically replaced by custom pairs for a more realistic, flaked metal effect.